But what if you could start simplifying life today? When our lives are jam-packed with a “To-Do” list that dictates our day-to-day, we can begin to lose sight of our purpose. The result? 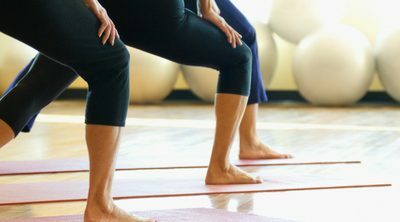 Stress, strained relationships, hormonal imbalance, and other negative consequences that damage to our health both emotionally and physically. Fortunately, the cycle can be broken. 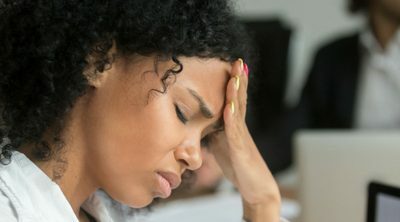 When you pause for just a moment and reflect on what is causing your overwhelm or making you feel so over-extended, you will likely find the root cause. 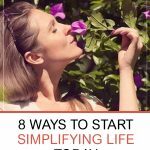 And more importantly, you will uncover ways to simplify your life without feeling like you’re making sacrifices in the process. I’m sharing a variety of strategies that can help you make powerful and easy-to-implement shifts that bring back meaning and purpose in your life, one simple step at a time. This doesn’t require any fancy tools, apps, tracking devices, or complicated, lengthy programs. All that is required is your commitment. Many people get paralyzed by the many different strategies for simplifying. But don’t let this process overwhelm you. What works best is to choose one strategy that resonates with you and start making that small change today. 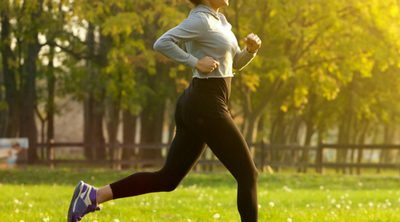 As you get into your new habit, see what changes you begin noticing, and when you are ready, choose another strategy to implement from this list. Ready? Let’s dive in. Time Out is not just a disciplinary technique used by parents. Actually, many parents need to use this practice on themselves! Your life may be so busy that you simply need to take a time out and a step back. When we hustle from one task to another and our schedules are constantly full we can easily fall into the trap of overlooking the simple pleasures of our everyday lives. What are some of the simple pleasures you’ve been avoiding due to your busy schedule? Are you rushing through meals, not enjoying the flavor and texture of your food? Did you decide that you don’t need time for self-care because you have too many other things to do? Or perhaps you rush right past the roses, rather than stopping for a moment to smell and get a mental boost from their aroma. Being grateful and showing appreciation are crucial elements of developing a wellness practice and alleviating the tensions of everyday stress. Those who set the intention to focus on gratitude can derive a greater sense of emotional well-being and better health, thus enjoying the simple pleasures of life and the value that they add to our existence. If you’ve ever felt like you spend way too much time in the kitchen preparing meals, then this is the tip for you. When you make a calculated effort to meal plan and make larger batches of you and your family’s favorite meals, you set yourself up for a simpler, more stress-free week. Meal planning or bulk cooking and freezing meals will allow you to have “fast food” during those busy weeknights when the last thing you want to do is cook, or resort to takeout. This strategy also frees up time and energy to focus on more important things like family time, rest and relaxation, or other projects you may need to complete. On those days when you are simply exhausted or don’t feel like cooking, meal planning can be a lifesaver. Are you surrounded by too many “things?” Clutter, whether mental or physical, can have a detrimental effect on our lives. When you scale down or minimalize your physical environment, you are making active strides towards simplicity and less stress. Having less “stuff” enables the feeling of being organized, focused, and attune to what truly matters. In addition to clearing physical space, de-cluttering can also clear mental space allowing you to feel more relaxed and at ease every day. Along the lines of decluttering your physical space, you may need to work on purging things from a mind that is constantly flooded. It can be a challenge at times to pause enough to tune in to what is inside. When you’re constantly absorbing from your environment, this is lead to massive missteps as we own or accept all of the external demands from the world. We may wind up running after dreams or goals that were not even ours, to begin with. This leads to piling on a never-ending stream of “busy work” because we are constantly reacting to cues and prompts from our environment, rather than focusing on our own internal signals. So how do you turn your brain off turbo mode and onto a calmer setting? Begin with making a conscious decision to add a few minutes of meditation, mindfulness, journaling or reflection to your day. Doing these can help to relax your mind to put you in a place of clarity. In my former “life” I was a pro at multi-tasking. I could often do 3, 4, or more projects simultaneously. And even now I still struggle with this area as each day (if I’m not careful) I could potentially be pulled into several different projects and directions at the same time. Luckily, I’ve wised up. And research backs this “single-pointed focus” concept that I have adopted and now embrace. Studies demonstrate that when you are able to focus your energy on one single task at a time you are less stressed, more focused, and able to accomplish your tasks more quickly. Ironic, but true. Is it time for you to make a conscious effort to focus on your tasks one at a time and give it your complete attention? Doing this allows you to prioritize your day, week, month, year, and possibly even set the tone for your entire life. Join my mailing list and receive a FREE copy of this printable guide: Stress Management Workbook and Resources. I only share free resources like this with my newsletter members. Success! Thank you for subscribing to my newsletter. Please check your email to receive your printable Stress Management Workbook. JOIN AND DOWNLOAD THE WORKBOOK! You can easily start this practice by laying your fork or spoon down in-between bites and chewing each bite thoroughly until it’s thoroughly chewed. If you’ve ever felt like you’re hustling to get work or projects completed, but getting nowhere, or not making the progress you want, it’s time to revisit the way you’re working. One way to boost your focus, productivity, and efficiency is to work in time blocks. These are dedicated pockets of time that you set aside to complete similar tasks. You can accomplish this by carving out specific time for similar tasks. For example, do all of your phone calls during the same time block; clean all of the bathrooms in your home in the same time block; and process your mail and pay all of your bills in one time block each week. Working within dedicated time blocks saves you from starting, stopping, and shifting from one task to another constantly but leaving many of them incomplete or “pending.” If you’re constantly distracted, you may need to turn off notifications on your phone or turn it off altogether while you work during your block time. If you’re working on the computer, try disabling desktop notifications so that you can remain focused on the task (or tab) at hand. Rather than let your inbox dictate your day, set a specific time to check emails once or twice a day (and stick to it!). Make a conscious effort, distractions will no longer undermining your focus and productivity. Once you’ve completed your work during your block time, allow yourself to take a break or reward yourself with “play time.” Then dive into your next set of tasks. You’ll find that this system can simplify your life, reduce a lot of unnecessary stress, and give you a sense of peace, calm and accomplishment. Have you ever been caught up in gossip at work or your best friend’s endless list of complaints? Or someone’s rant on social media? These things can not only be a time drain but can also be a brain drain as well. You can overcome this by channeling your energy, thoughts, and behavior in ways that align more closely with your idea of simplicity. The negative thoughts, words, or actions of another person can quickly be absorbed by others leading to a cascade of events that take you further away from the simple life, rather than closer to it. And much of the time it happens so fast that you’re not even aware until it’s too late. Which of these strategies resonated with you the most? 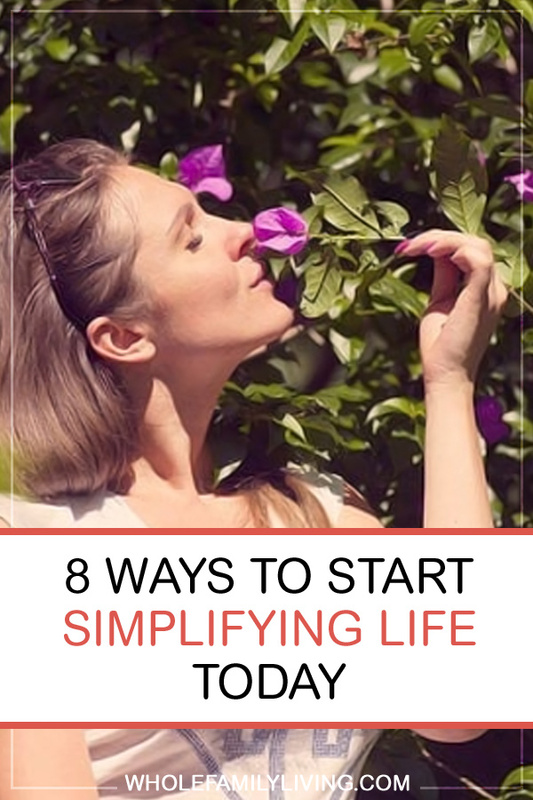 How can you start to simplify your life today? Share your comments below! Many good tips here. I’m currently focusing on decluttering my home, which in turn helps to decluttering my mind.